The Ohio University women's team will direct the camp and give your daughter college level instruction. We will focus on individual evaluation and development of each camper. We will design the camp to introduce campers to high-level basketball competition and an inside look at the competitive and technical skills required by college student-athletes. Your daughter will also gain a better understanding of Bobcat Basketball and the NCAA recruiting process. All cancellations must be received in writing via e-mail. Telephone cancellations will not be accepted. Cancellation requests must include the following information: Camper’s Name, Camp Name and Dates, Original Amount Paid, Reason for cancellation. 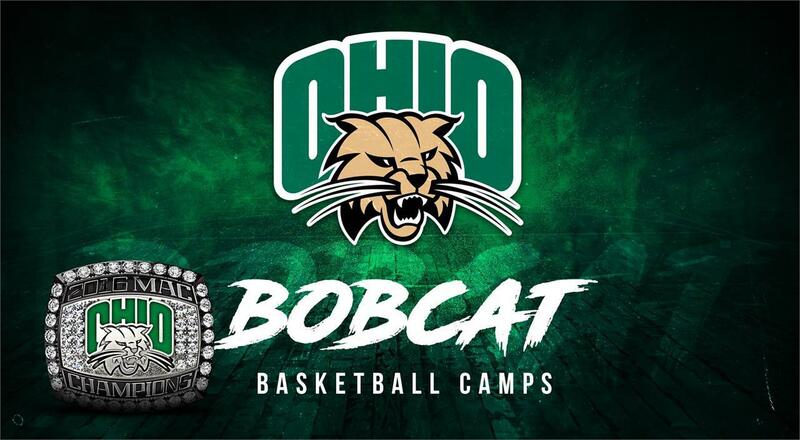 All refund requests must be made to Ohio Basketball Camp two weeks prior to the first day of camp: Email jamesont@ohio.edu. There is a processing fee for cancellations. Your credit card processing fee cannot be refunded. Pizza and snacks will be sold daily as an option for lunch. Money should be brought depending on how much pizza the camper will want. Campers can bring a separate cold lunch if preferred. Campers will be supervised at all times and are not permitted to leave the Convo or campus area unsupervised. Any misconduct could result in dismissal from camp without a refund. Parking Passes for parents staying will be available for purchase and the number of passes will be limited. Parking is also available at a Pay-By-Space basis at the Convocation Center, Ping Recreation, and Baker Student Center.